Tests will be kicked off using TestNG. I like the annotations and the built in ability to have parallel tests running. We won't explore it in this particular series, but we will later. 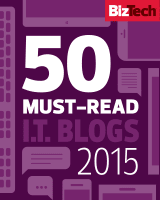 ( See the official TestNG site ). I will be attempting to finish code walkthrough over the next two weeks on a Monday / Wednesday / Friday publishing schedule. Please feel free to use any IDE you wish to code in: vim, emacs, nano, Sublime Text Editor, IntelliJ or Eclipse. You could even use Android Studio, built on top of IntelliJ. I prefer IntelliJ IDEA, first introduced to it when I was working through Alan Richardson's Selenium WebDriver with Java course back in 2013. Disclaimer: Coding in Appium is still brand-new to me. I only first started a month ago, slowly working my way through two online courses. Learning Appium Desktop, the initial setup, took so much longer than I thought it was going to! Because it was so complex, even though we just covered all this content month ago, you might need a review... I sure did! Last week, when I was ramping up a co-worker on setting up Appium Desktop on his machine ("Hi, Rahul!") I had to refer back to the notes on my blog many, many times. 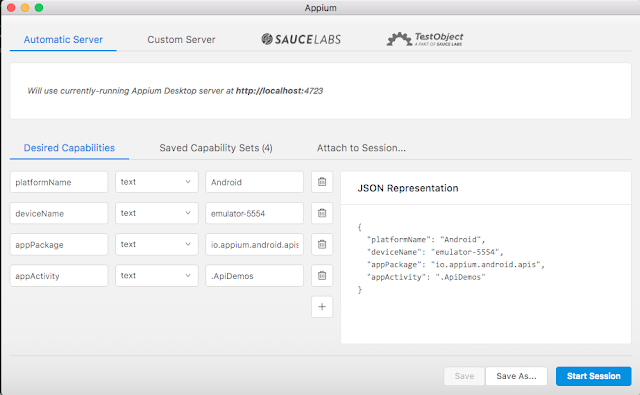 Review: How Do I Inspect Mobile Apps on Appium Desktop, Again? 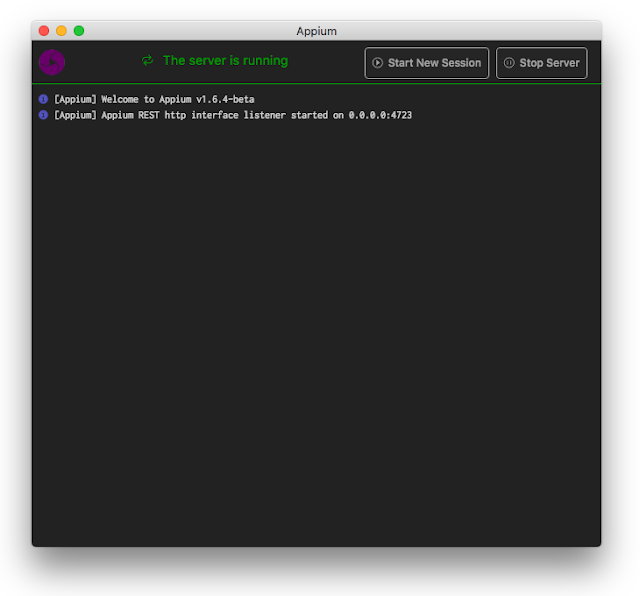 If you have never set up Appium Desktop before, I suggest you go through my notes on Learning Appium. It's tricky! My notes should spell it all out for you. Here are seven steps to get yourself up and running, referring back to the notes. Behold, the Appium Desktop start screen lives again! ... Then, start a new Server by pressing the "Start Server v.16.4-beta" button. Let's leave the host at 0.0.0.0 (your local host, Home) and the port at 4723 for now. 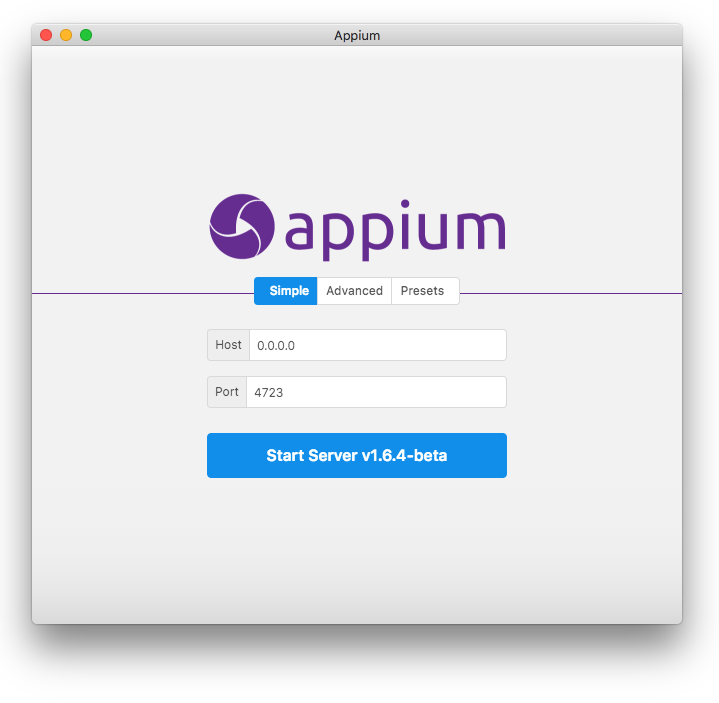 Appium is running in the background, listening for commands to be sent to 0.0.0.0:4723. Step 2: Install Android Studio, which comes with the both Android Software Development Kit (SDK), and Android Command Line Tools such as the Android Debug Bridge (ADB) to connect your physical Android device via USB. Make sure to set up ANDROID_HOME! Step 3: Connect your physical Android device via WiFi, if you wish. This project will use Android emulators, but physical devices will work, too. Step 4: Set up an Android emulator using Android Studio’s AVD (Android Virtual Device) Manager. Run the emulator. Step 5: Find the appPackage and appActivity for the App: Install the .apk you will be testing against by downloading the .apk, then dragging and dropping the .apk onto an Android emulator to install it. Me, I will be using ApiDemos-debug.apk for this chapter. Go to Appium's Java-Client page. Right-click on ApiDemos-debug.apk and select "Save Link As". Save it onto your Desktop. Drag-and-drop it from your Desktop, your Download folder, or wherever you saved it, onto your running emulator. Double-click the "ApiDemos" folder to launch the program on the emulator. The ApiDemos-debug.apk app we will be automating. Copy-and-paste the following code into your Mac Terminal. 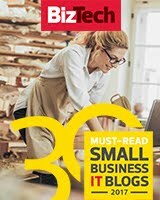 adb shell "dumpsys window windows | grep -E 'mCurrentFocus | mFocusedApp'"
... This code uses the Android Debug Bridge to go into the app running, and grab either the currentFocus or FocusedApp, and dump the output. Going back to Appium Desktop, select "Start New Session". Select the "Save As..." button, and save it as something such as "ApiDemos". ... When we finally run automated tests, setting up Desired Capabilities, we will find that instead of appPackage, and appActivity, we can just use the appName. If we did that with Appium Desktop, like I did in my first attempt, I would be hit by a known bug in one of the Android Command Line Tools and it would not work. Step 7: Press the Start Session button. Three horizontal panels will appear. 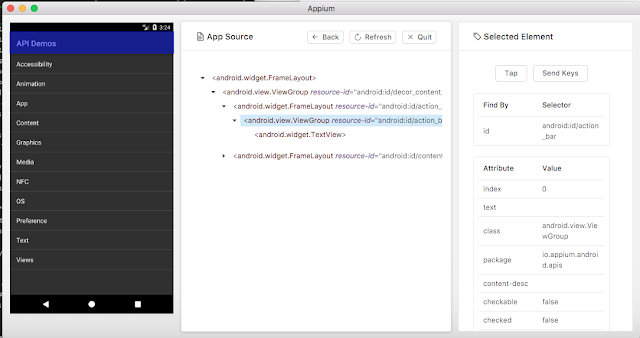 Now that Appium Desktop is up and running, Inspect away! Middle panel: The app source, much like the DOM of a web page. Right Panel: The properties of the selected element. 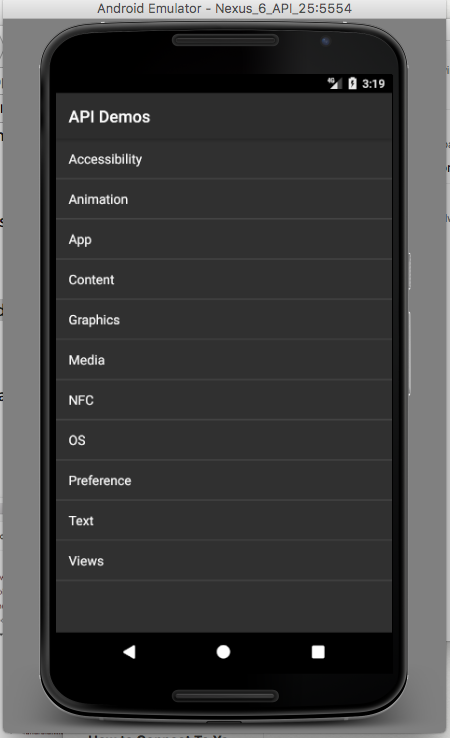 Now that we have Appium Desktop and an Android emulator up and running, tomorrow we will be inspecting the mobile elements of this app and designing a basic test.